When you were a kid, were you allowed to shake your Christmas gifts? I know a lot of people consider it taboo but it was the norm for me and encouraged by my family. I would dive under the tree and shake away until I found what I was looking for. Among all the clothes, toys and whatever, I could always count on my folks coming through with not one but two puzzles ever year. It was part of my holiday tradition. After we were done opening gifts and spending family time together, my dad would usually find a comfy spot to read whichever book we had bought him, my mom would start prepping the kitchen to make our customary Christmas dinner of spaghetti and gnocchi and my brothers would, um, I don’t know what they would do. All I knew is they were somewhere else doing anything but picking on me for at least a brief moment. 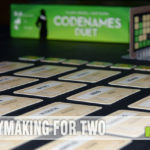 I could predictably be found hovering over a table, shuffling through a box full of puzzle pieces and systematically assembling one of those coveted puzzles. It was my happy place… and I usually had one of the puzzles completed by the time I needed to go set the table for dinner. As I got older, I received more difficult puzzles such as double sided versions, any variety of puzzles inspired by Rubik’s Cube, 3D crystal jigsaw puzzles, puzzle-based PC games and even books of logic puzzles. 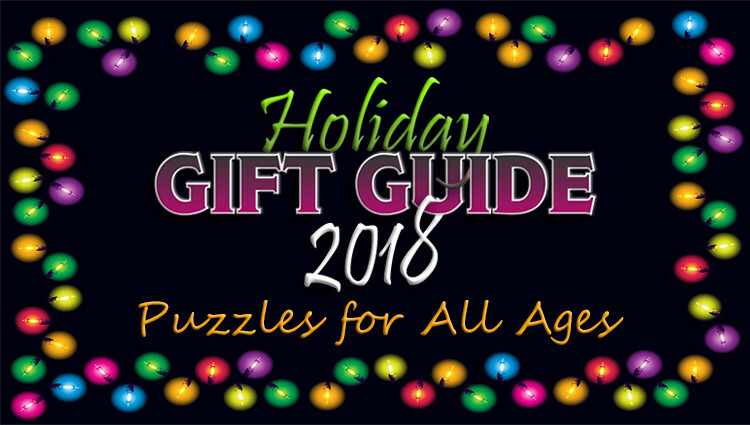 Puzzles are a wonderful thing with a special place in my heart which is why they earned their very own gift guide this year! 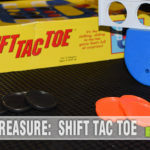 People of all ages can sit down and enjoy a good puzzle so you’re sure to find something on this list that appeals to someone on your shopping list. Watch for our logo to read more about products we’ve featured previously in more detail including close up photos of the pieces and thoughts on how our family like it. Newsflash: if it’s in the gift guide then we obviously thought it was worthy. Don’t forget to watch for some of these in our Mega Giveaway and enter to win! Need more gift ideas? 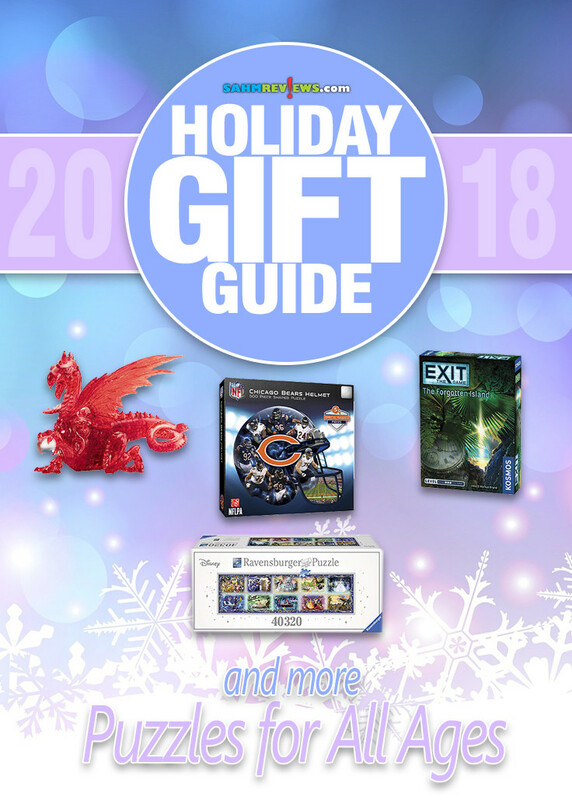 Check out our previous gift guide filled with awesome card games and watch for more ideas to come! You’ve never seen a device like this! Peek through this curious contraption’s round holes at the image hidden inside. Can you tell a rhino from a pizza just from a few swirling lines? Take a good look at the partially revealed image, guess what it could be and score points if you are right! The fewer holes you need to open in order to recognize the image, the more points you get. 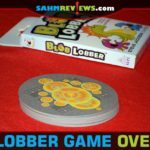 The most perceptive player wins the game! Solve the Chess Puzzle’s challenge and find the lucky coin sealed inside! Hanayama Chess Piece Puzzles are brain teasers built into high quality chess puzzle pieces. 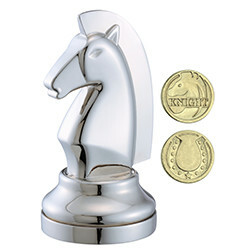 Each cast metal, chrome-plated chess piece requires a different solution to open it and collect the cast-plated gold token hidden inside. Hanayama Cast Chess Puzzles are recommended for ages 8 and up. BePuzzled is the exclusive distributor of Hanayama Cast Puzzles in the USA. This MasterPieces 15″ x 21″ 500pc Holiday Glitter Puzzle is the perfect way to get into the holiday spirit, and the perfect Christmas present for friends and family. Cozy up around the table for some holiday family fun with “Santa Paws”, a group of festive pups ready for the holidays. This beautiful work of art is enhanced with a no-mess glitter layer to give it an extra special touch, without leaving a glittery mess behind. To reduce its impact on our environment, the chipboard used in this puzzle is made of recycled material. Do you have what it takes to assemble one of the world’s largest jigsaw puzzle? 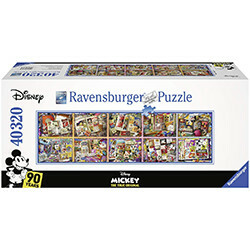 Take the Ravensburger challenge and find out! Memorable Disney Moments features an incredible 40,320 pieces, measures approx. 22.5 feet wide by 6.5 feet tall, and weighs 43 pounds, earning the Guinness World Record for a largest commercially-available puzzle in the world, in both number of pieces and sheer size of the finished puzzle. Featuring 10 individual, 4,032-piece panels (bagged separately for easier assembly). You’ll be committing roughly 600 hours of puzzle fun to this masterpiece. Imagine the pride you’ll feel when it’s finished. EXIT: The Game is a new series of party games for up to four players that offers a unique, unforgettable gaming experience. These games allow you to bring the excitement, intensity, and team spirit of an escape room to your living room. In each EXIT game, your team starts out locked in an imaginary room, or trapped somewhere. You must solve a series of riddles and puzzles in order to unlock doors and reveal new riddles. 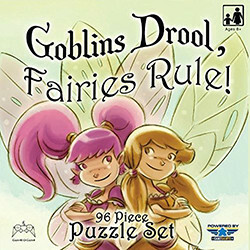 A 96 piece, double-sided puzzle with nasty goblins on one side and pretty fairies on the other! For a long, long time, goblins and fairies have lived in a magical world right beneath our noses. Now an ancient spell of rhymes which transforms goblins into fairies and fairies into goblins…upsetting the balance of their world! Which side will you choose? Finish one puzzle and flip it over to start the next one! 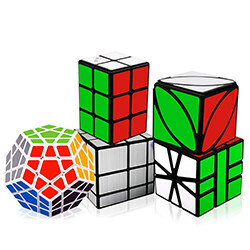 The Tresbro Magic Cube set focuses on providing excellent performance and value for entry-level cubes. It strikes a good balance between affordability and performance. Suitable for beginner and intermediate cubers. Buy five and save! MasterPieces Inc. is shaping the future of jigsaw puzzles for sports fans with the launch of its new NFL shaped puzzles. 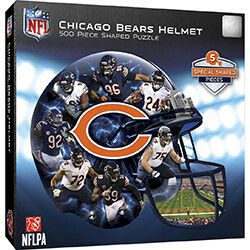 The new NFL puzzles finish to a cool football helmet shape. Each team puzzle (MSRP $19.99) is an engaging 500-piece challenge, featuring a dominant team color scheme with a collage of images of the team’s top players arranged into a large 22″ x 25″ completed shape. MasterPieces also included special hand-drawn shaped pieces that are cut right into the puzzle. Builders can have fun finding and fitting five special pieces (helmet, cleat, football, uniform jersey and yardage marker) into the assembly of the puzzle. 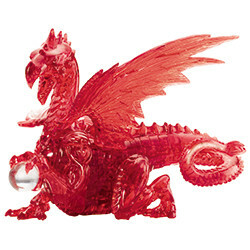 The Red Dragon Deluxe Crystal Puzzle from BePuzzled features a fierce yet regal beast, guarding its marble egg. This beautiful 3D brainteaser is a sleek, translucent, crystalline puzzle with 56 unique interlocking pieces. When you’ve joined the pieces together (be ready for a challenge), this dragon’s wings are spread wide, ready to defend its prize or take flight! Deluxe Crystal Puzzles are our largest, most challenging Crystal Puzzle designs. This 3D puzzle has a difficulty level of 3 (out of 3). Approximate assembled size = 5” x 8” x 5-1/2”. Commemorating Mickey Mouse’s 90th anniversary this 40,320 piece puzzle showcases 9 decades of Mickey’s history. The puzzle includes hand drawn images, as well as archival photos and sketches from Walt Disney himself that detail Mickey Mouse from his debut on Steamboat Willie to today as the most iconic and beloved animated character of all time. The puzzle, which weighs 50 pounds and measures 22 feet long by 6 feet wide, is the world’s largest Mickey Mouse puzzle and will take about 600 hours to complete (or almost an entire year if puzzled 2 hours each day, not including weekends). Even if you’re only able to check a couple things off your list using these ideas, then you’re still well on your way to making a dent in your shopping. Stay tuned in the coming days and weeks for ideas for games for all ages, toys, stocking stuffers and more! My husband and I love to do puzzles together and our kiddo loves puzzles too! I love these suggestions for puzzle games. I will show this list to them and maybe we can all agree on one (or two) that we can enjoy at home. These are great gift ideas! 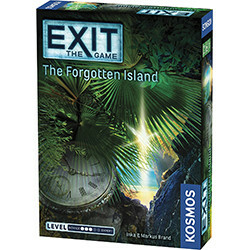 My kids likes playing board games and Exit sounds like a fun game for our family game night. I’m going to check this one out. 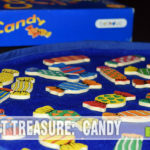 These are excellent choices of puzzles to bring a family together and have FUN! Family members of almost all ages can help. They to will have a feeling of accomplishment! This is a must pin! I love the Hanamaya Chess Piece Puzzle! There’s some good recommendations on here! I love them! 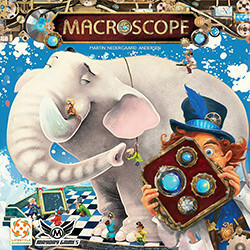 Macroscope, Goblins Drool and the Red Dragon are so awesome! I want them for the kids (and myself)! Thanks for the ideas! These are different from ones I’d considered! Puzzles are such fun! 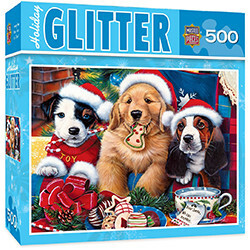 The Holiday Glitter Santa Paws Puzzle is super cute! That Disney Memorable Moments puzzle sounds like a long term challenge requiring it’s own living space! We are so excited and proud of our Chicago Bears that the NFL Helmet-Shaped Puzzle of the Chicago Bears would be an awesome gift and not just for Christmas! This is a nice unique puzzle that shows a bit of the Bears history! I would make it and glue it to a piece of cardboard. Then I would buy a picture frame that would accent the finished puzzle. I would keep it or gift it. Or do both. I also think that Red Dragon Deluxe 3D Crystal is awesome! Thank you for sharing! I bet the Mickey Through the Years puzzle is nostalgic for parents/grandparents as well as fun for the whole family. I would love the Memorable Disney Moments Puzzle…time for a trip down memory lane. 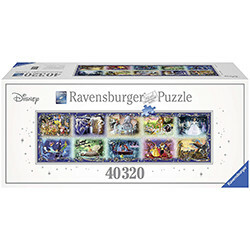 The Memorable Disney Moments Puzzle looks like it would be a lot of fun. All of these look like they would be fun for most everyone! Love the “Mickey Through the Years” giant puzzle…cool idea! My grandson is addicted to puzzle and would definitely enjoy a few of these. Thank you for the highlight.